Dusty Mauve is one of those polishes that doesn't look the same on the nails as it does in the bottle. 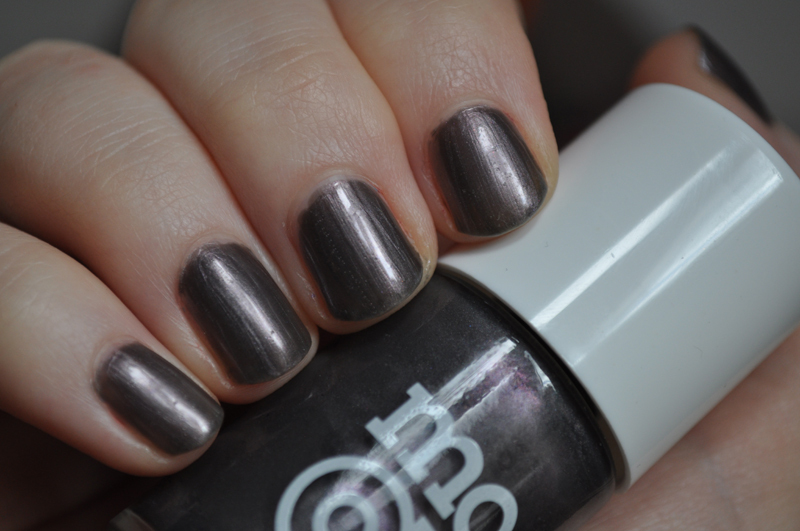 On the nails it's a gun metal grey but in the bottle it has a purple shimmer. I really like how it looks on the nails, it's really unique and nothing like anything else in my collection. I only applied two layers but it could have done with a third coat but it had started to bubble slightly so didn't want to make that worse.